I’ve been keeping a date record of when things are starting to bloom (i.e. 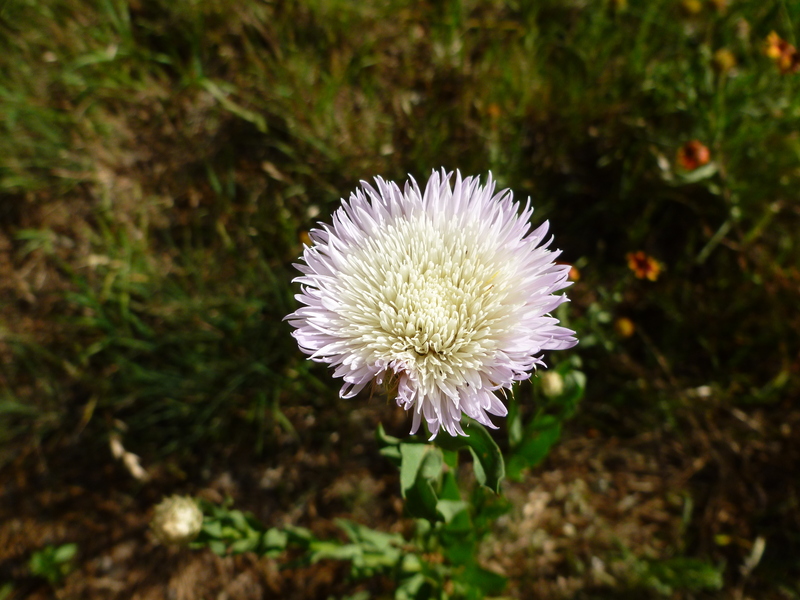 I have a spreadsheet), and today is the first official day of the American Basket Flower (Centaurea americana), just beginning to bloom. I’ve been wondering what these mysterious thistly things were, and I only had one flower last year and it was all of about 5 inches tall. This year’s crop are 1-2 feet tall. Some good links here and here. The seeds were planted in the spring of 2011 as part of the Native Trail Mix from Native American Seed. Lots of species are blooming right now – so far this year I’ve recorded at least 19 native flowers. American Basket Flower (Centurea americana) – blooming day one. This entry was posted in Uncategorized and tagged American Basket Flower, where to buy. Bookmark the permalink.